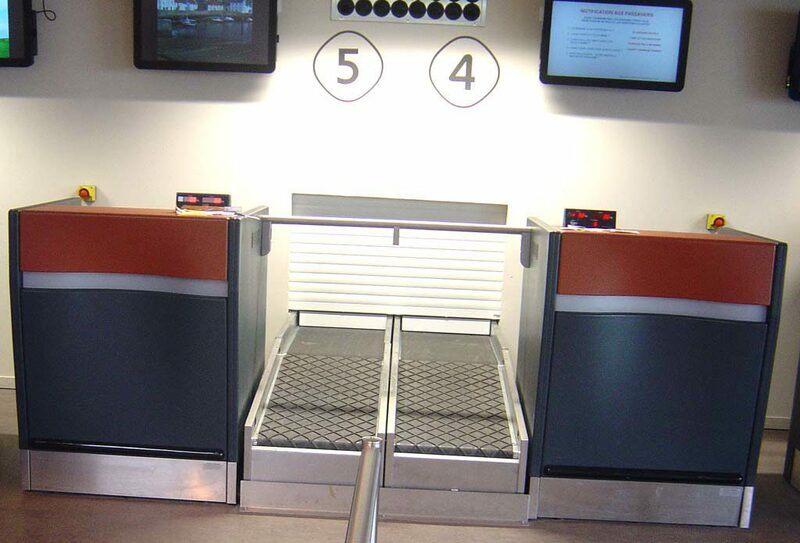 MATREX designs and manufactures check-in conveyors which allow for an effective, fast and smooth baggage check-in. 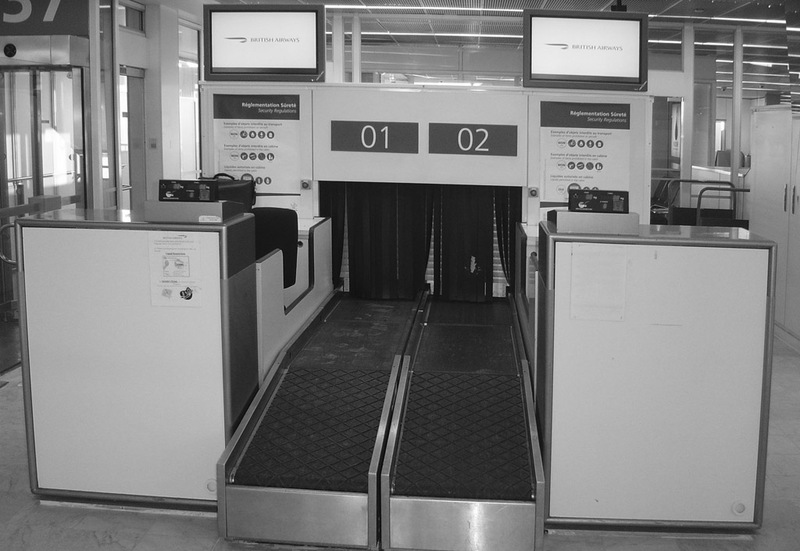 In fact, they can be perfectly adapted to airline companies' needs and airport constraints. 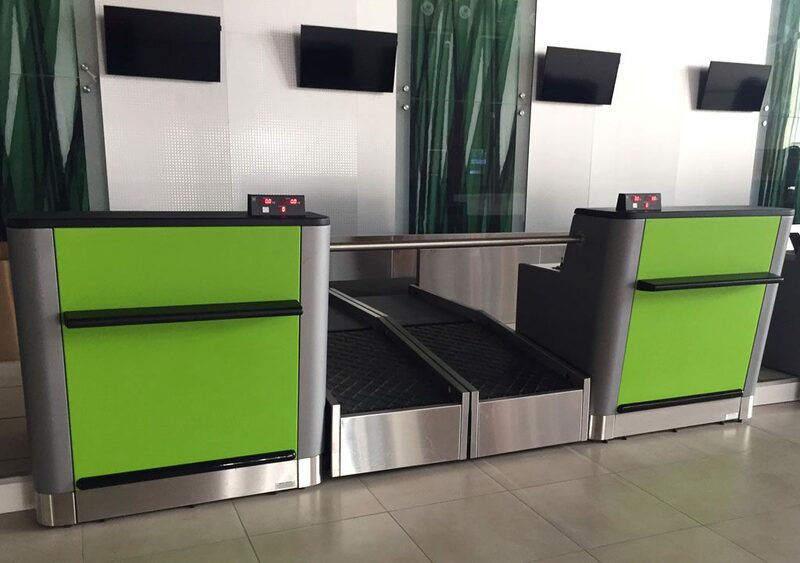 They ensure passenger and airport staff comfort. 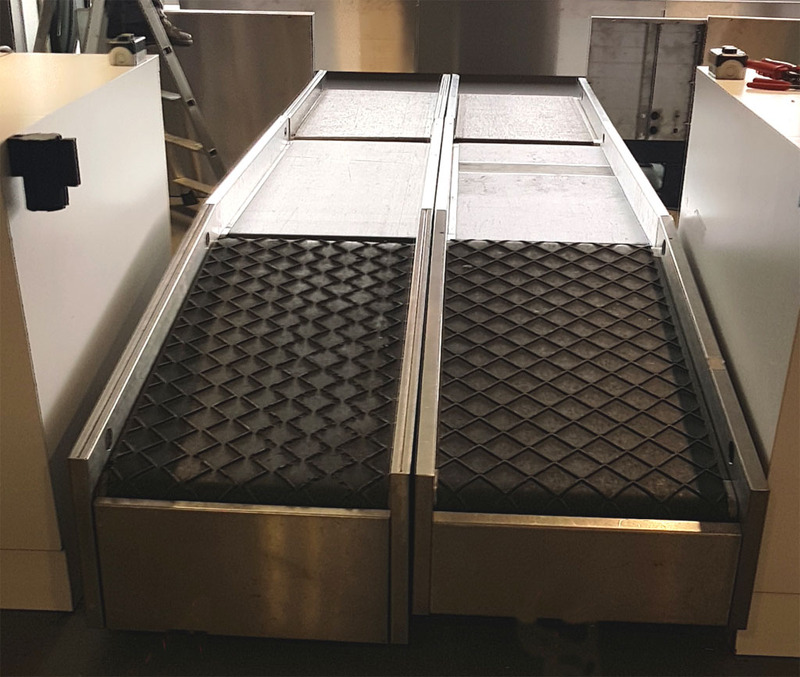 MATREX equipment allows for weighing, labelling and baggage injection, by using one, two or three belts. 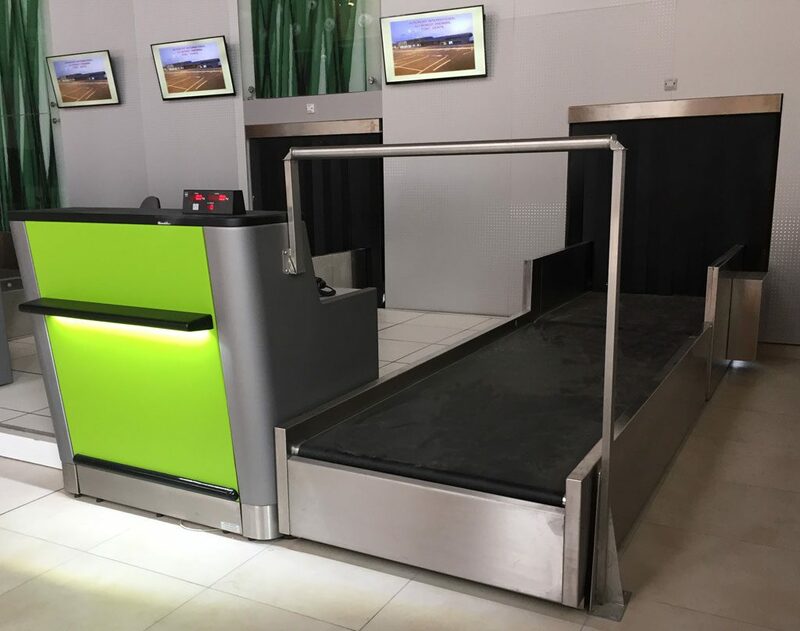 Baggage which by dimension and/or weight exceeds IATA standard baggage limits must be separately handled by specialised and adapted conveyors. 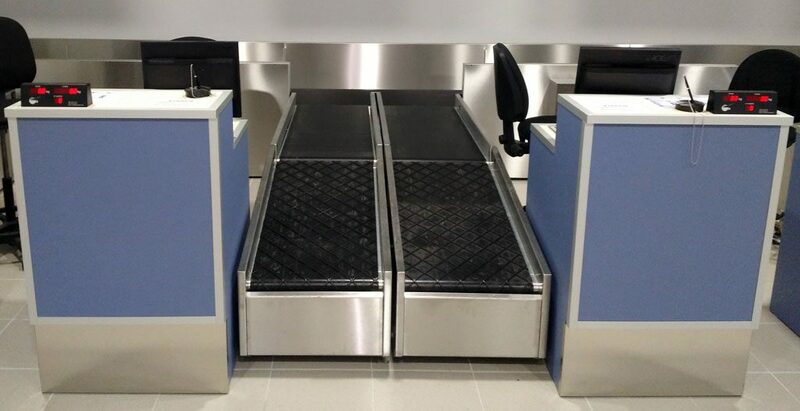 Our odd-size baggage check-in conveyors are equipped with smooth belt. 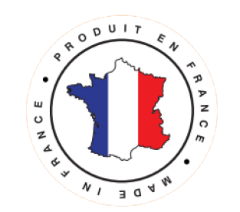 However, MATREX can adapt its products (dimensions, belt…) to customer needs and constraints. 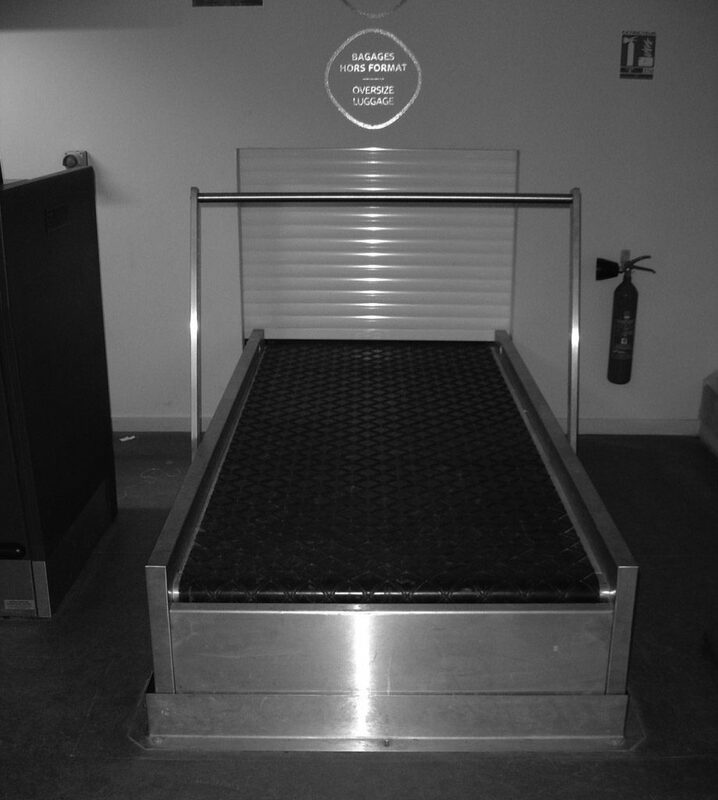 Baggage items with dimensions exceeding oversize baggage allowances should be transported as quickly as possible to the freight area. MATREX also manufactures conveyors for this very specific type of bag.